CloudOn, whose apps for iOS and Android devices provide Microsoft Office where Microsoft doesn’t, is breaking into the browser. CloudOn said Tuesday that its virtualized copy of Microsoft Office 2010 will now run inside Google Chrome and Apple’s Safari browser as a Web app, with support for Mozilla Firefox and Microsoft’s Internet Explorer coming in a future release. It also will beef up its sharing capabilities, launching the app environment if a user shares a document through the service. CloudOn’s premise is simple: Users have been able to create, edit, and share Microsoft Excel, Word, and PowerPoint files for the past year and a half. Until now, that’s been restricted to apps for the iPad and iPhone, plus Android phones and tablets. While Microsoft has released Office Mobile for the iPhone as well as Android phones, the company has inexplicably ignored tablets—and tied Office Mobile to Office 365 subscriptions, to boot. That’s left the door open for companies like CloudOn to exploit the vulnerability. CloudOn’s new Web app allows users to edit Word and other documents without the need to download an app. The problem that CloudOn has faced has been threefold. First, simply trying to create and edit rich documents within the relatively small confines of a smartphone screen has proven difficult, as a PCWorld assessment demonstrated. Second, some of its app users have complained of an odd bug where CloudOn would consistently drop the first letter of words (which others noted may have been tied to another app, SwiftKey). And finally, others have complained that the CloudOn apps are simply slow and laggy, even on robust mobile smartphones. With the new version, Milind Gadekar, the chief executive of CloudOn, hopes he can solve most, if not all, of the issues. “It will be definitely, in our belief, a better experience; a slightly different experience than the native [app] experience,” Gadekar said. 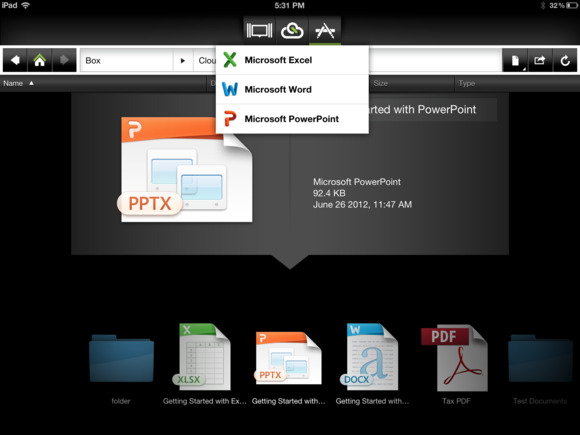 CloudOn 4.0 allowed users to share and edit documents from Box, Dropbox, Google Drive, and SkyDrive. The browser-based version eliminates the need to email documents as attachments back and forth, said Gadekar. Instead, users will be provided a link, so that they can access the document no matter which cloud provider they use, and allow them to collaborate on documents. 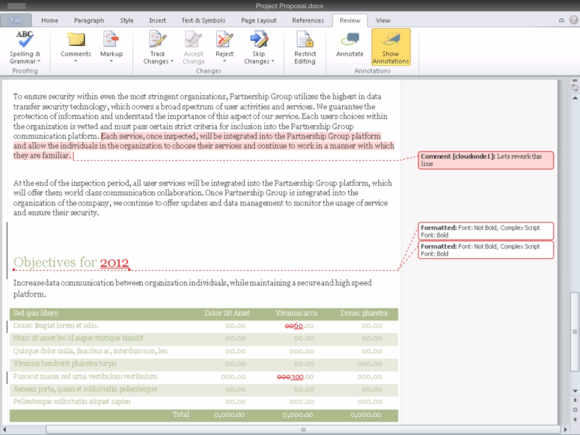 At this point, customers have numerous options for productivity software: native Windows software like Office; open-source alternatives like LibreOffice; browser-based options like Google Docs, CloudOn, and others; plus mobile apps like Microsoft’s Office Mobile and the Apple iWork suite for its iOS devices. Microsoft, of course, has been feeling the pinch, and it released a defensive blog post outlining its position. “Lately, it seems there’s a new, free productivity application launching every week,” Julia White, the general manager of Microsoft’s Office business, wrote last week. “They’re flooding the market with point solutions that have rudimentary levels of functionality and a variety of user experiences. With this comes speculation of if these free offerings can replace Office. We know the crowded app market is creating confusion for customers, but the reality is, the best free alternative to Office is Office —Office Web Apps." Microsoft recently beefed up Office Web apps with its own collaborative features, a swipe at Google Apps, and its robust system of real-time document sharing and collaboration. It’s unclear, however, how many users habitually collaborate on a document simultaneously. Probably the real test for CloudOn, however, will be whether it can solve its nagging bugs and the latency issues that have dogged its mobile releases. Otherwise, Gadekar claims that CloudOn has 5 million users. If desktop users can get a virtual copy of Office—even an older generation—for free via virtualization, it seems fair to say more users will check out the CloudOn alternative.